Looking for Gas Boiler Repair in Redcar? As one of the Redcar's largest repairers of gas boilers & central heating, we know a thing or two about keeping your home warm and your water hot. What's more, because we're energy efficiency experts, we can help you cut your energy bills and do your bit for the environment too. All of our gas heating installation and repair team are fully qualified and hold Gas Safe registered certificates; this guarantees that every boiler installation or repair is safely carried out to the highest possible quality and standards. Give our friendly Teesside team a call and we can service, repair or replace your gas appliance. As Gas Safe registered engineers, we are qualified to work on all of your gas appliances and provide safety certificates. We can carry out repairs on your central heating system and if required, supply and fit a new, energy efficient system. Book a free quote online or by calling us. One of our heating experts will visit your home and give you a free fixed price quote, so you'll know exactly what you'll pay - even if there's any unexpected work when we install your new boiler. If you're a landlord, we'll work with you to arrange an appointment at a date when you and your tenant can be at the property. We'll call ahead to let you know we're on the way on the day of our visit. Our advisor will complete a technical inspection so they can advise you of the best options, our current offers and a choice of payment options. Your appointment shouldn't take any more than an hour. Will bring back warmth to your home. We'll cover your carpets and protect surfaces, and there'll be no mess left when we're done. We'll drop all the materials in advance so we can start work straight away. 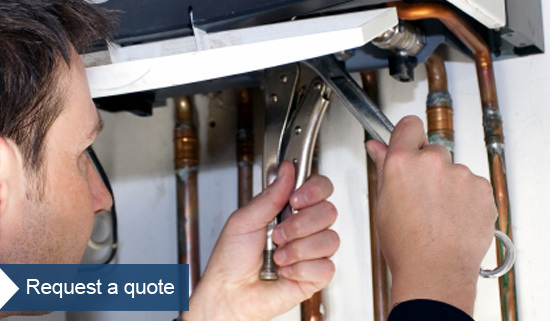 We'll talk you through everything you need to know about maintaining your boiler after repair. We're also experts in all plumbing	need a new kitchen?